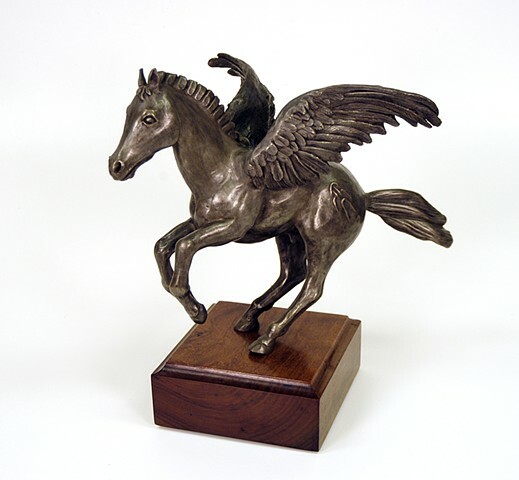 PEGASUS is mounted on wood (type and style varies) and will turn on its on bearings. Optional Marble mounting -contact for quote. 3 of 12 in edition. This piece is cast in silicon bronze with silver nitrate hot patina Patina that may be varied, (Black, Brown, or silverish gold). It is a part of a large sculpture, sales will raise money for production in bronze. It is rather heavy. Quote for shipping on request.